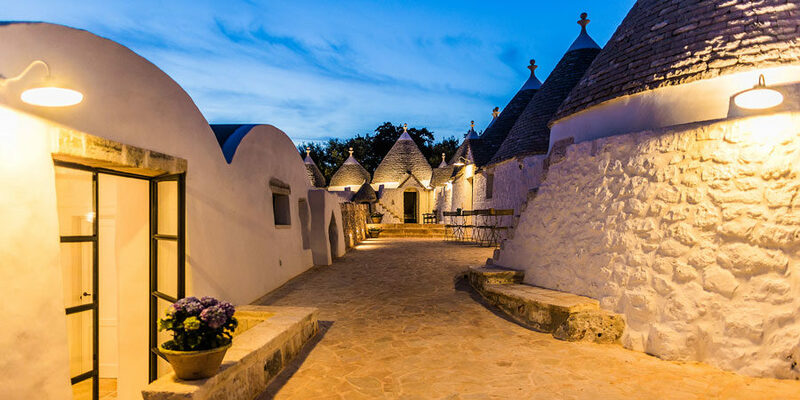 Borgo Canonica is the result of the restoration of a rural borgo from 1800s, situated in a 6 hectares area and almost entirely composed by trulli. Give a new life to this borgo, without affecting the integrity and the original beauty of the place, it has been the main purpose of all the people involved in this majestic restoration work. identity of the Borgo and belong to the architectural Apulian tradition. The iron, with its hardness and its essential shape, is in contrast with the pure white of the trulli, creating the typical Apulian atmosphere. The restoration project of Borgo Canonica is the result of the cooperation among Valcanonica SRL, the society that owns the Borgo, the architects Aldo Flore and Rosanna Venezia and from the Puglia region that financed the reconstruction project.